Get Ready to Uncover the Earth's Deadliest Predator! 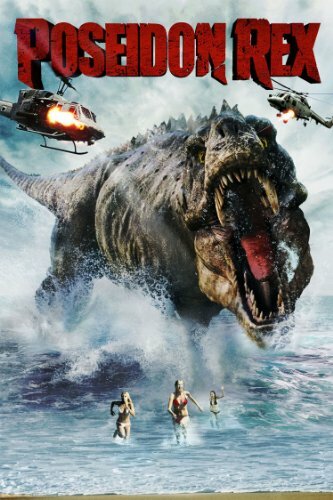 LOS ANGELES (April 14, 2014) - ITN Distribution brings you Poseidon Rex available on Digital Download and DVD on May 13th, 2014. The creature feature stars Brian Krause (Charmed), Anne McDaniels (The Unknown Trilogy), Steven Helmkamp (the Brothers Sinclair) and Candice Nunes (Magic Hour), and is directed by Mark L. Kester (Firestarter, Commando). Poseidon Rex will be available on DVD for an SRP of $14.99. Special Features include the making of the film and outtakes. A small, secluded island off the coast of Belize suddenly finds itself terrorized by a deadly predator from the planet's distant past, when deep-sea divers accidentally awaken an ancient evil. Jackson Slate and his team of underwater cave explorers unearth much more than long-lost Mayan treasures while plumbing the depths of a world famous blue hole. They disturb a creature that's been hibernating for over 60,000 years - a rampaging behemoth of death and destruction not only at sea but also on land. ITN Distribution, Inc. is a leading independent film distribution company that specializes in high quality and star driven independent films for the domestic and international TV, VOD, DVD and theatrical markets. ITN releases 24 films per year with ITN's connection to all major retailers and rentals in North America, such as Redbox, NetFlix, Wal-Mart, Target, Best Buy, iTunes and Video-On-Demand (VOD). ITN produces, distributes and acquires films worldwide. ITN Distribution also does Foreign sales and attends the following markets: Cannes Film Festival, American Film Market, Berlin Film Festival-European Film Market, Hong Kong FILMART, MIP TV, MIPCOM, NATPE Eastern Europe, NATPE Miami, Toronto, Prague-World Content, Ventana Sur-Argentina etc.